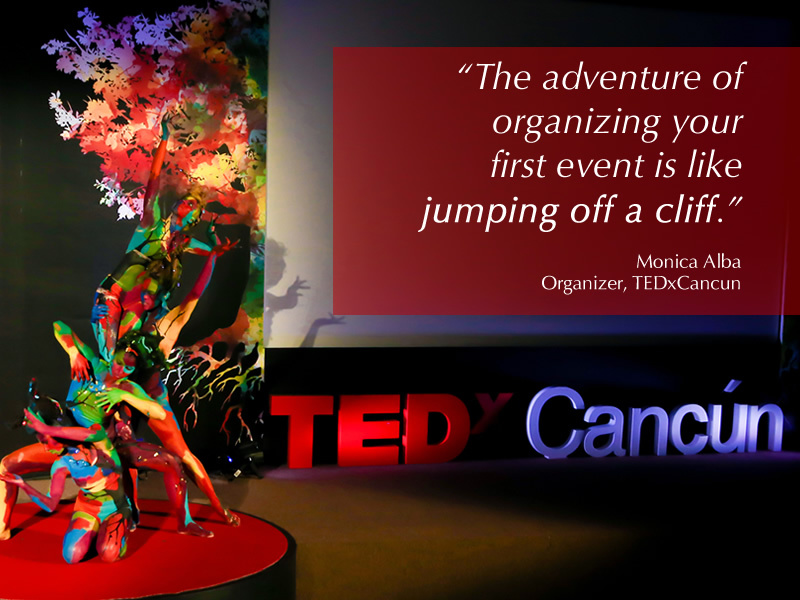 Monica Alba is a force of nature and the perfect person to lead the team at TEDxCancun, located in one of the most beautiful places along the Gulf of Mexico. Cancun is only 40 years old, and unlike other colonial cities in Mexico, it is full of many nationalities, creating a diverse population. Monica is also the TEDx Ambassador for Mexico, and after the first few minutes of listening to her, you'll see why New York picked her for the position. She's sees the challenge of producing a TEDx in a city of 1 million citizens as a way to open their minds and inspire them. Her last event was themed Resonance. She said these are the ideas that need to be heard; we want to have them resonate with our community. Her advice to other Organizers was simple; be open and vulnerable and share your failures. Be able to say, "I tried this, and it didn't work out..." and learn from it. TEDXCancun started in 2015. Oddly enough she was rejected several times, but hung in there and finally got her licenses. It’s an exciting part of the story. She attended TEDFest and the TEDSummit in Banff and has done a few TEDx events in Cancun. Cancun is only 40 years old, and the first generation of people who populated the region still live there. They were able to focus on local speakers pulled from the 1 million citizens of the area. Getting sponsors and finding the best types of organizations to approach. Be very open about your failures and learn from them. This show was recorded before her event in October 2018, and she was looking forward to having 450 people at that event. Invest time in team development. Use Facebook, What’s app and have limited, but constant communication with the team to pass on the excitement.